Continuing with the goal of achieving a less than 60bpm heart rate, I’m looking at incorporating a bit more cardio into my life. It’s dry outside and therefore a run should beckon, but I’m procrastinating by writing a blog post instead… Hey ho. There is plenty of good info out there about goal setting. It’s not enough to say, I want to be fitter/thinner/richer/fluent in Spanish – you’ve got to be SMART about it. So it has to be a specific goal (having a heart beat rate of less than 60bpm), measurable (the under 60 thing), achievable (hmm! ), realistic (double hmm!) and timely (by May 9). Another way to bring down the beats per minute would probably be to reduce caffeine. And this could also lead to substantial money saving for me. Out there is a whole lot of people like me – the diet coke addicts who guzzle too much of the brown fizzy stuff every day. If you want to feel less alone in your addiction, check out these various forums, Ms Morphosis, Psychology Today and Sorey Fitness and pick up tips to help kick the habit. 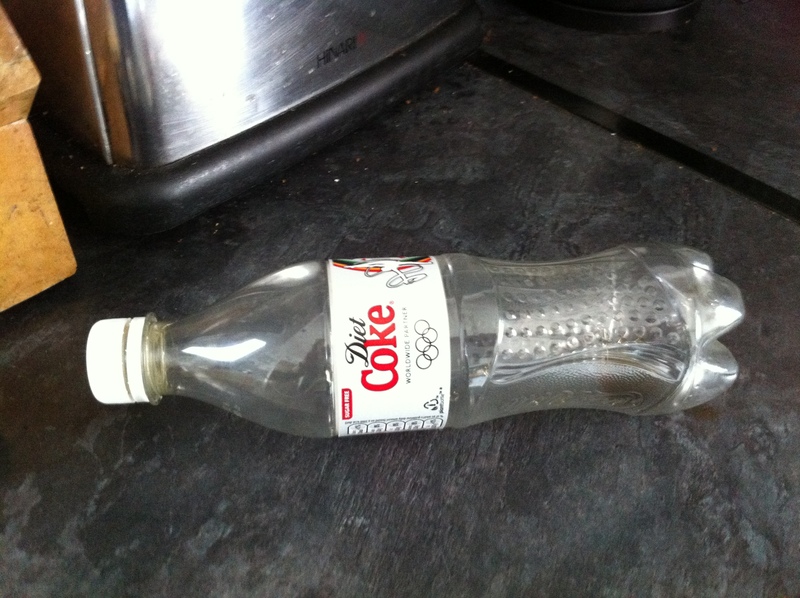 As is often the case with diet coke habits, I’m particular about only liking diet coke in plastic bottles. So my habit currently costs me approximately £4 per day (£28 a week, £112 a month). Oh yikes, how truly horrifying. While I’m working out a budget for my wedding and cutting costs by not coughing up for seat covers (yes, they tend not to be included in what you get from your venue), I could probably cover the seats in pure Chinese silk from the money I spend on diet coke. Yikes indeed. Ohhh… I’m such a diet coke addict!!!!! There are a lot of us out there… I’d LOVE to only drink two bottles a week so maybe I should aim for that instead of cold turkey. Thanks for your comments. – At lunch I get a cup that I fill with 3/4 soda water and 1/4 sprite – a few calories, but really refreshing and not too bad at all! Good luck and let me know how your journey goes!